Marcus is Associate Agent to Olly Thomson. Marcus has been working in the industry professionally since graduating as an actor from Drama Centre London in 2007. He built up extensive experience in acting, directing and casting primarily at Theatre Royal Stratford East where he became an Associate Artist under then artistic director Kerry Michael. 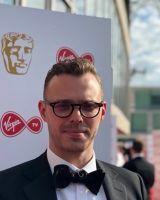 In 2016 Marcus developed his experience and passion for the industry by becoming an agent when he joined Simon & How Associates as Junior Musical Theatre Agent. During his time at SHA Marcus became an Agent and built a successful list that worked across all areas of the profession. Marcus joined Intertalent in April 2018.